The report is, not surprisingly, being met with some skepticism. In a Facebook-commissioned report from Deloitte, titled "Facebook's Global Economic Impact," the social networking company is credited with having a global economic impact of $227 billion, while adding 4.5 million jobs worldwide last year. The report doesn't say that Facebook alone added anywhere close to that many jobs or that much money to the economy. According to Deloitte, Facebook has stimulated the worldwide economy by providing marketing tools; a platform for app developers; and demand for connectivity, data usage and mobile devices. 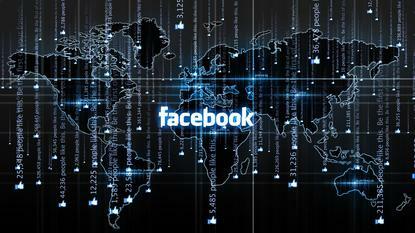 "Our study finds that Facebook enables significant global economic activity by helping to unlock new opportunities through connecting people and businesses, lowering barriers to marketing, and stimulating innovation," said Jolyon Barker, a Deloitte managing director, in a statement. Facebook's Chief Operating Officer, Sheryl Sandberg, noted that the technology sector as a whole is driving global job growth. "Across the world, there is a greater urgency about creating jobs," said Sandberg in a statement. "The good news is that the tech industry is powering the economy and creating jobs within and beyond its own campuses. "Every day, businesses of all sizes, sectors, and skill sets are using the Facebook platform to grow and expand." Not everyone buys the big numbers. "I'm no economist, but in no way do I believe it. So, were it not for Facebook, people all over the world would just be sitting there, staring vacantly out into space?" asked Ezra Gottheil, an analyst with Technology Business Research. "Balderdash. If Facebook wasn't there, people would be using other means to communicate. Advertisers would find other media. Developers would develop for other platforms." Zeus Kerravala, an analyst with ZK Research, said he thinks Facebook might have been doing some "creative math" with the sponsored report. "Well, they certainly have added to the economy and one could look at them as the company that kicked off the social media economy," he said. "But there's no evidence that any revenue that has flowed through Facebook wouldn't have happened without them. "For example, they point to all the games that have been created for Facebook. But without Facebook, those games would likely have been created for another platform."